Business View Magazine interviews Michael P. Byrne, Mayor of Parma Heights, Ohio, as part of our focus on best practices of American cities. Parma Heights, Ohio, a city of 20,000 in Cuyahoga County, is a suburb and bedroom community of Cleveland, some 12 miles to the northeast. Its 4.5-square-miles are surrounded on the north, east, and south by the larger city of Parma, while the cities of Brook Park and Middleburg Heights form most of its western border. In the early 1800s, the area was known as Greenbriar, supposedly for the rambling bush that grew there. It was incorporated as a village in 1911 and a city in 1956. One of Byrne’s first tasks when he became mayor was to set in motion the “Greening of Parma Heights Initiative,” with the aim of tackling the city’s over-paved commercial areas while highlighting and expanding its park system. The main thrust of the initiative, which involves green/sustainability efforts, infrastructure improvements, and community development initiatives, centers on the Pearl Road corridor. Pearl Road is the city’s Main Street, and has been designated as an Improvement Target Area (ITA) by the Cuyahoga County Department of Development and a Priority Transit Corridor for the Greater Cleveland Regional Transit Authority (RTA). So, when the Northeast Ohio Area Coordinating Agency (NOACA) offered a Transportation for Livable Communities Initiative (TLCI) grant, the city’s Economic and Community Development Department applied for, and was awarded, funding for “The Pearl Road Complete and Green Streets Initiative.” The study, conducted by professional planners, has recently been adopted into the city’s updated Master Plan, which was also developed with a grant award from the Cuyahoga County Planning Commission in conjunction with the Cuyahoga County Department of Development. The resulting TLCI plan divided the Pearl Road Corridor into three segments: Residential, Town Center, and Commercial with recommendations for each with emphasis on green infrastructure and enhance multimodal travel options encouraging pedestrian, bicycle, and transit usage. With increased mobility in mind, the city also won a Community Development Brock Grant (CDBG) in 2016 for the installation of a number of ADA Ramps compliant with the Americans with Disabilities Act along the Pearl Road Corridor. Also that year, NOACA TLCI Implementation grants were announced and the city received funding for putting in place one of the Residential recommendations: the installation of a raised curb median with HAWK signal and decorative crosswalk. In 2017, the city again applied for Implementation funding to install a series of ornamental crosswalks in the Town Center and on-street parking in the Commercial District with decorative permeable pavers, bike racks, and bike sharrows. 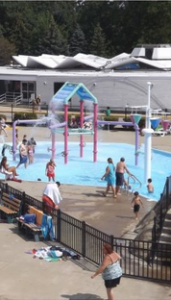 The city has also recently submitted a Cuyahoga County Supplemental Grant application requesting funding for a Wayfinding and Branding Master Plan study, the next logical step in the transformation of the community from a pass through into a destination by linking amenities and spurring reinvestment. Additionally, the city has established a regional partnership with the cities of Middleburg Heights and Strongsville, as well as NOACA, to resurface Pearl Road, which will include stormwater infrastructure. Like most communities in Ohio, road and sewer maintenance are ongoing. The cost of road repairs and reconstruction has risen to a level that makes all but the most basic repairs beyond the financial scope of a small bedroom community like Parma Heights. In response to that situation, the city has been consistent and vigilant in its grant requests and awards from the CDBG program. It recently received a $150,000 grant for a residential street repair. In regional partnership with the Cuyahoga County Department of Public Works, the city spends an annual average of almost $1.2 million on storm and sanitary sewer maintenance and repairs. This past year, however, Parma Heights businesses and residents experienced extensive flooding and damage as a result of the unusually heavy spring and summer rainfall. In August 2017, the city made application to the Northeast Ohio Regional Sewer District (NEORSD) for a grant to construct a master storm water retention basin to address the problem of stormwater capacity. “Seeking all these grants has been an integral part of our ability to continue to provide excellent services to our residents and businesses,” says Erin Lally, Mayor Byrne’s Executive Assistant. As a bedroom community, Parma Heights necessarily pays attention to real estate, local business, and homeowner issues. The city offers a Continuing Education Class for local realtors, focusing on the amenities of Parma Heights and why prospective home buyers should consider making Parma Heights their home. The city participates in the Heritage Home Program, which offers the owners of homes age 50 and older free professional advice on home improvement and maintenance projects. The program also offers homeowners access to low-interest financing to cover those project costs. The entire City of Parma Heights has been designated a Community Reinvestment Area (CRA). A CRA allows tax abatements to residential and commercial property owners who can reinvest in their real property. The CRA Program is a tool used by the city to promote the development of new residential and commercial structures, and encourage the revitalization of its existing building stock. Under the CRA Program, residential and commercial property owners are eligible to receive abatement of property taxes up to 100 percent of the increase in the assessed value of a structure. The abatement permitted differs for new construction projects and projects involving the remodeling of existing structures. To promote its recycling program, the city has been awarded consecutive Recycling Grants through the Cuyahoga County Solid Waste District. In addition, Parma Heights hosts special recycling events such as: Household Hazardous Waste Collection, a Community Shred event, Personal Computer Recycling, Scrap Tire Collection, and a Holiday Light Collection. The City of Parma Heights has also welcomed Simple Recycling, a free curbside service that offers residents the ability to recycle unwanted household and textile items that are too heavily worn to donate to charitable organizations. Parma Heights is also committed to its open, green spaces, and is fortunate to have a 20-acre parcel in the center of town called the Greenbriar Commons. The Commons, which is the heart of the community, houses the city’s branch of the Cuyahoga County Public Library, N.E.O. Soccer, a water park and pool complex, tennis courts, a playground, pickleball, volleyball, and bocce ball courts, and has been home to the Cassidy Theatre since 1974. Now in its 44th season, Cassidy Theatre is a non-profit organization dedicated to producing quality community productions. It offers everything from classic dramas to slapstick comedies to modern Broadway musicals alongside children’s theatre classes and productions. Two community rooms, recently renovated with grant funding from the State of Ohio, are housed in the theatre building and are available for resident rentals and special events. In 2012, a new park was created in the center of town when a vacant, blighted, and contaminated former gas station site was donated to the city by Margaret Colombo, the wife of a local developer. In addition to $300,000 donated by Colombo, the city also took advantage of funding from the Ohio Department of Natural Resources and the Cuyahoga County Department of Development to establish Colombo Park. “We put an emphasis on green space, and try to utilize the space that we have and enhance it any way that we can come up with,” Byrne states. Another successful endeavor was the completion of the Parma Heights/Big Creek Connector Trail – roughly 1,000 feet of new pathways and a bridge that spans the Big Creek and directly links the Greenbriar Commons in the heart of the city with the Cleveland Metroparks’ Big Creek Reservation. Collaborators on that project included the Cleveland Metroparks, the Ohio Department of Natural Resources, and the Cuyahoga County Department of Development Community Development Block Grant Program. Speaking of collaboration, Byrne reports that Parma Heights has been extremely effective in working with neighboring communities on public safety issues and resident services. The city is a member of a regional dispatch center for police and fire, and has established a public safety partnership with a shared major crime investigation unit, auxiliary police, and local jail. Mayor Byrne is equally committed to enhanced communication between City Hall and Parma Heights residents. The city publishes a community newsletter three times each year, which is mailed to every home and business in the city. 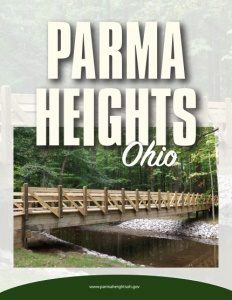 In concert with Cleveland Magazine and Great Lakes Custom Publishing, the city also publishes an annual magazine Take a Look at Parma Heights. Parma Heights also communicates with residents via its website, an electronic sign located in front of City Hall, and via social media. Community participation is an enduring characteristic of the city, and recently, three Parma Heights community organizations have experienced significant revitalization: The Parma Heights Garden Club, the Parma Heights Historical Society, and the Greenbrier Art League. 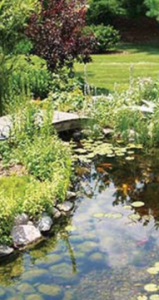 The Garden Club works to make Parma Heights more eco-friendly. One key effort aimed at the “Greening of Parma Heights” is the implementation of the Daffodil Project – an initiative specifically aimed at community beautification along the Pearl Road corridor and in city parks. So far, Garden Club members and community volunteers have planted more than 8,000 daffodil bulbs at strategic locations along the Pearl Road Corridor, at major intersections, and in city parks and green spaces along Pearl, York, and Old York Roads. The Garden Club and its members also cultivate a community garden, located adjacent to the Historical Society’s Toll House in the Greenbrier Commons Complex. Produce harvested from the Community Garden is donated to the Parma Heights Food Pantry. The Historical Society Maintains the Toll House in the Greenbrier Commons, which is a replica of the toll house that used to be located on Pearl Road. Members not only research and preserve the city’s rich and vibrant history for future generations but they also collect and preserve historic artifacts. The Greenbrier Art League presents “Tuesday Art,” a continuing series of community art opportunities every Tuesday in the community rooms. Other ways in which life in the community is enhanced for the residents include: “Kids in the Commons,” an annual event in August for children; Community Movie Nights, which offers free, outdoor movies for the community throughout the summer; a summer Band Concert Series, presented from June through August each year at the Gazebo in the Greenbrier Commons; Community Dances; and an annual Holiday Tree Lighting Event when the city’s Christmas Tree is officially lit and residents gather to celebrate the season. 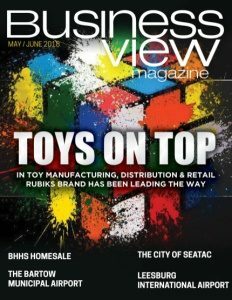 Check out this handpicked feature on Massage Heights. 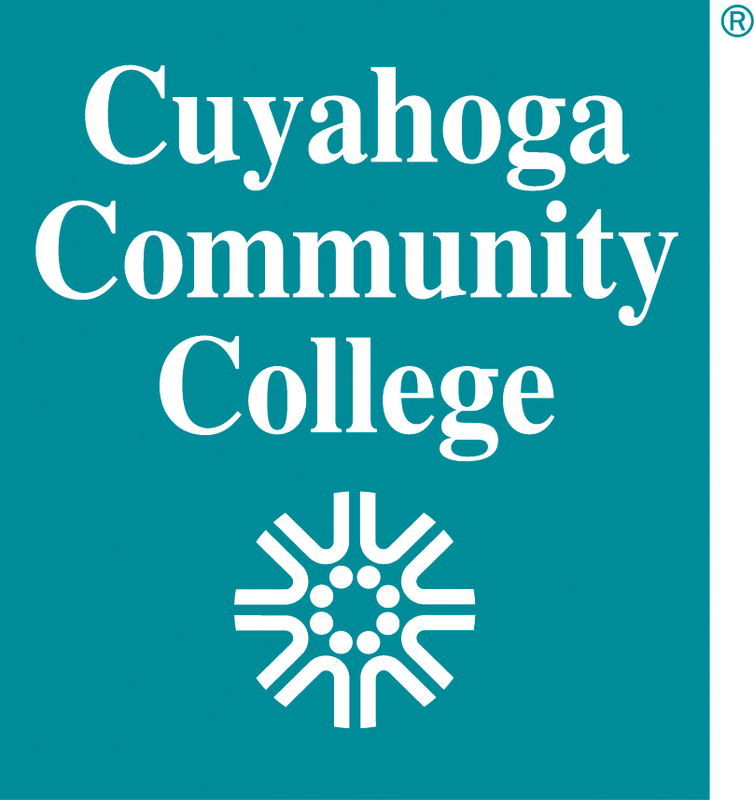 Cuyahoga Community College – Founded in 1963, Cuyahoga Community College (also known as Tri-C) is a community college in Cuyahoga County, Ohio. It is known as Ohio’s first community college and is the oldest and largest public college within the state. For more than 50 years, Tri-C has provided high quality, affordable education and programs to more than 900,000 members of the community. The College serves more than 55,000 credit and non-credit students annually and offers day, evening, and weekend classes; classes via television, the Internet, and independent learning.